August 28, 2009  The United States and Colombia have reached agreement on a plan that will give the U.S. greater access to seven military bases in Colombia. Washington says it's part of the effort to battle drug traffickers and leftist rebels. But across Latin America, some believe the U.S. is strengthening its presence in the area to threaten and possibly unseat regional leaders. August 19, 2009  In Latin America, it was common at one time to exaggerate economic progress for short-term political gain. Most countries improved their record keeping when they joined the globalized economy. But Argentina is accused of vastly underestimating inflation and poverty, while offering rosy economic growth estimates. Besides upsetting Argentines, it also affects Americans who invested in the country. 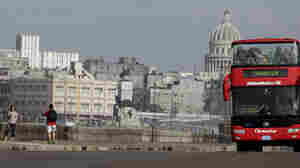 August 18, 2009  In Cuba, many try to make ends meet by selling home-made goods or special skills. Official salaries are so low that it's the only way some people get by. Most vendors sing a sales pitch to advertise their wares. August 8, 2009  In 1992, Hurricane Andrew smashed an aquarium tank in Florida. 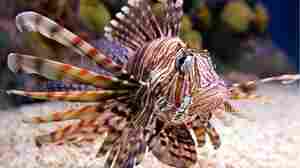 About a half-dozen spiny, venomous lionfish washed into the Atlantic Ocean, spawning an invasion that could kill off local industry along with the native fish. August 7, 2009  For decades, Cuban workers cleaned resort hotel rooms and staffed the restaurants, but the island's communist authorities wouldn't let them check in as guests. 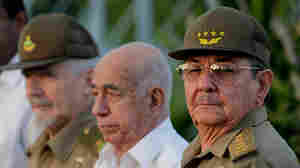 That policy ended last year with reforms initiated by President Raul Castro, who succeeded his ailing brother, Fidel. August 6, 2009  Mexican authorities this week arrested the last standing ringleader of the kidnapping gang "Los Rojos," or "The Reds." "Los Rojos" was one of the most notorious and prolific kidnapping organizations that have terrorized that have terrorized Mexicans from all walks of life. August 5, 2009  Every Wednesday night, the streets in Tijuana, Mexico, are filled with hundreds of bicyclists who ride in spite of the city's notorious violence. They want to show that the streets can be safe and that Tijuana is a family-friendly place. 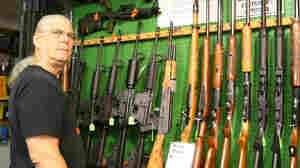 August 1, 2009  Mexican President Felipe Calderon has asked the United States to do more to curb the flow of weapons smuggled into Mexico. But the U.S. has the most permissive gun laws in the developed world, making it difficult for federal agents to battle arms trafficking. August 1, 2009  In Argentina, swine flu has killed more than 160 people — more than Mexico, where the epidemic began, and the highest death toll outside the United States. 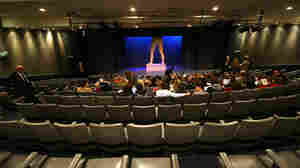 The country's vibrant theater industry — Latin America's richest — has been hit especially hard.